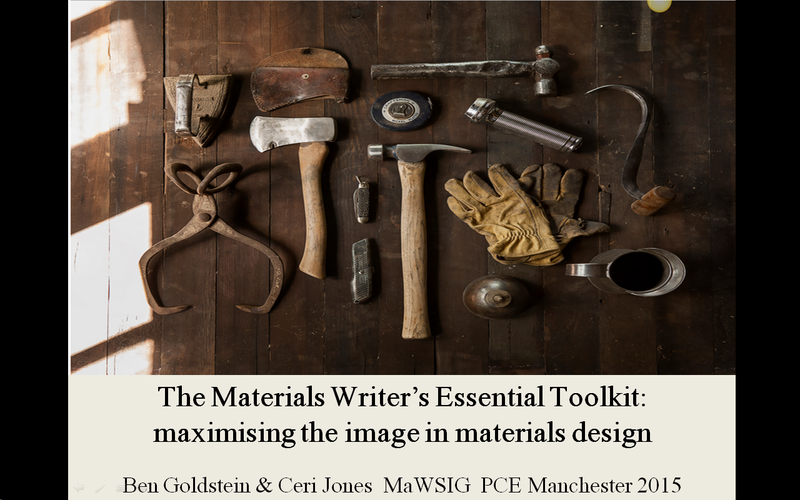 For the Materials Writing Special Interest Group at IATEFL 2015 in Manchester, Ben Goldstein and I put together a short presentation on choosing, briefing and using images in ELT materials. Here is a shortened version of the slideshow. There are footnotes accompanying some of the slides. Thanks to everyone else who was there at the Pre Conference Event, participating, presenting and especially organising. It was a great way to kick off the conference!